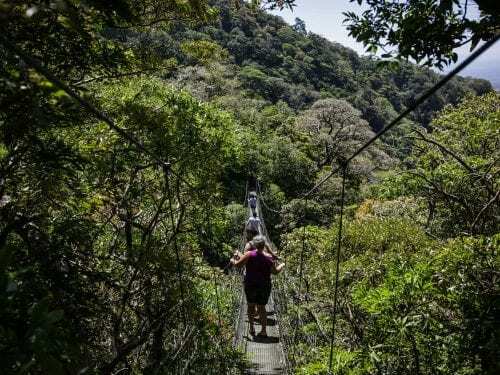 Two young surfers from Playa Garza in Nicoya died Jan. 1 after the motorcycle they were riding plunged off a bridge whose guardrails had fallen off months ago at Route 160’s La Cascada ravine. Aaron Duarte, 17, and Roberto Cardoza, 22, were traveling on a motorcycle from Sámara in the early morning when they lost control before reaching the bridge, located three kilometers from Playa Garza. “They didn’t make the bridge and veered off the road. 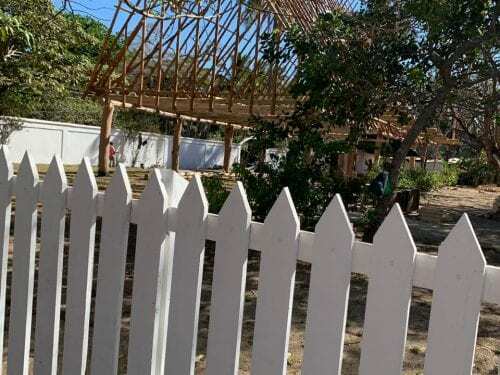 That bridge hasn’t had guardrails in a while,” said Santos Zuñiga, a Red Cross emergency responder from Nosara who was called to the accident scene. Santos said neither of the two crash victims had been wearing a helmet. According to a family member of Duarte, the two men had been attending New Year’s celebrations in Sámara. Shasling Viales, a spokeswoman for the Judicial Investigation Police, said the victims’ bodies were recovered at 9 a.m. on Jan. 1. Both men were avid surfers. 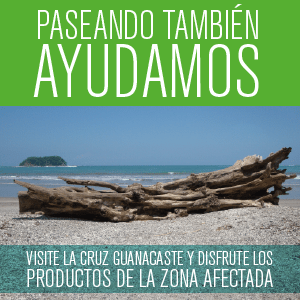 On Monday, a group of friends paid tribute to Duarte and Cardoza by swimming the length of Playa Garza. Duarte will be buried on Tuesday in Guiones. Cardoza’s body will be returned to Nicaragua, where he was born. 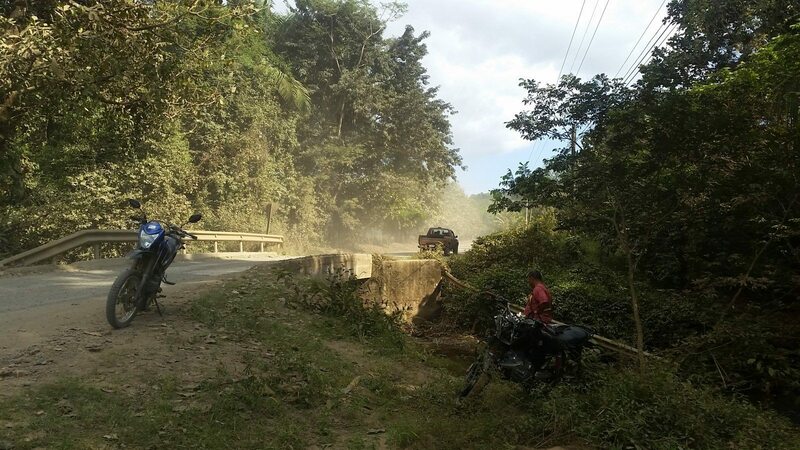 The pothole-filled gravel road to Nosara once again has proven it is dangerous for motorists. Potholes, poor signage and bridges in poor condition are a few of the dangers that travelers and local residents face every day. Local residents recall several months ago when the guardrail fell off the bridge, but no one has come to repair it. 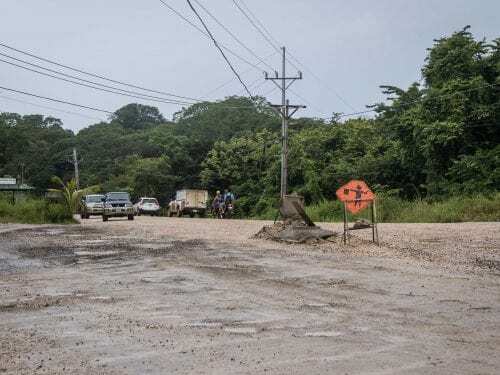 Francisco López, a member of the Pro-Route 160 Committee, said that six bridges are located between Sámara and Nosara, two of which are dangerous for drivers. “That bridge where the accident happened is dangerous. But right now, the most dangerous bridge is the one before arriving at Garza. It’s near a curve, it’s one lane, it’s very narrow, and you can’t see either the vehicle that’s coming or the one that’s going,” López said. 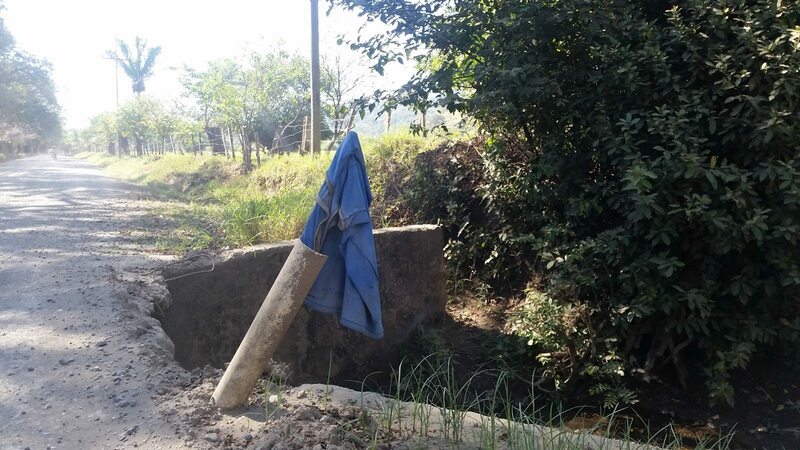 One nearby bridge has only a blue bandana tied to a tube to prevent drivers from plunging into a giant hole.